When Jennie and Gary Landsman’s son Benny was young, he appeared to be progressing well in his development and communication. Their boy always had big smile on his face, and they never suspected that anything was amiss — until Benny started to struggle with his movement. 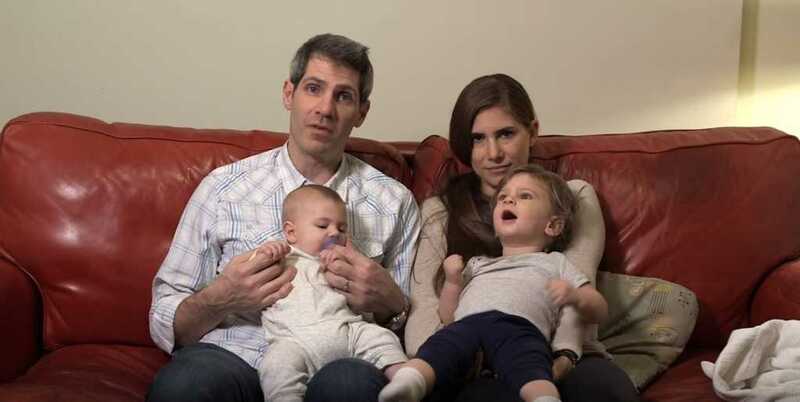 Following several rounds of tests, and after the Landsmans had gathered the opinion of numerous top neurologists, the family received some devastating news: Benny and his newborn brother, Josh, were suffering from Canavan disease. Canavan is a rare, progressive and fatal genetic neurological disorder. According to the Canavan Foundation, the disease is caused by an “inherited genetic abnormality: the lack of an essential enzyme causes deterioration of the white matter (myelin) in the brain, thereby preventing the proper transmission of nerve signals.” The lifespan of children diagnosed with the disorder is just 5 to 10 years. Jennie and her husband Gary were absolutely devastated by the terminal diagnosis. But Jennie and Gary were determined to do everything they could to try and save their precious babies. After spending hours browsing the internet for information on various treatments, they struck gold. Jennie found out about a groundbreaking gene therapy that has been proven to reduce and even reverse the disease’s most life-altering symptoms. The only problem? The cutting-edge treatment would cost $1.2 million. “We have an expectation that the therapy will make a real difference in the lives of these kids,” said renowned neurologist, Dr. Christopher Janson. Seeing this as their only hope, Jennie and Gary set about the arduous task of raising over a million dollars. The money raised by their GoFundMe has already covered the costs for other children to enroll in the trial and receive the treatments. “This is part of an ongoing mission that Jennie and I are going to have for the rest of our lives,” Gary added. You can make donations by visiting their GoFundMe campaign here.